Buckwheat pillows are pillows stuffed with buckwheat husks rather than feathers, foam or poly fiber filling. According to "National Remedy Reports," the pillows originated in Eastern countries and were used for generations. The side effects of the pillows are positive and beneficial. Buckwheat pillows are filled with buckwheat husks. 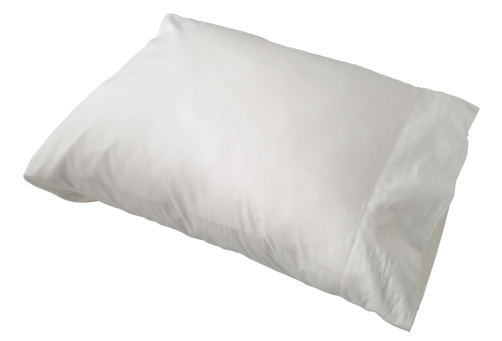 Buckwheat pillows provide proper support for the head and neck, which helps prevent tossing and turning for a better sleeping position and allows a better rest through the night. The comfort of the pillows makes it easier to fall asleep and stay asleep due to better support. The strength and support found in buckwheat pillows results in relaxation of muscles, which lowers muscle tension. The lowered muscle tension not only stops neck and back pain, but it also helps with stress or tension headaches, eliminating pain throughout the body. Snoring is reduced with a buckwheat pillow because it can help with airway constriction by preventing the head from falling forward or back too much during sleep. When lying on your back, the buckwheat pillow prevents your head from moving into positions where airways constrict and thus lessen or eliminate snoring. Harvest Haven points out that since it helps with snoring, anyone who still has a major snoring problem should see a doctor because it might be a sign of sleep apnea. The buckwheat husks allow air circulation because of the irregular shape. This means that during the hot summer months, air passes through the pillow to keep it cool while during the winter months the pillow stays warm. What Is the Best Mattress to Prevent Bed Sores & Pressure Points?